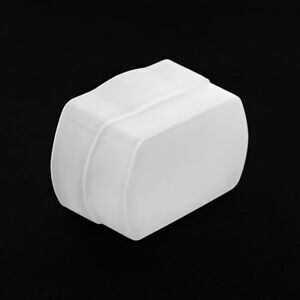 Details about Bounce Flash Diffuser Cap Plastic Cover for Canon 540EX camera, NEW Made in USA! Bounce Flash Diffuser Cap Plastic Cover for Canon 540EX camera, NEW Made in USA! We accept Credit Cards and Pay Pal. Payment must be received within 7 days after the auction closed. If payment is not received within 10 days, we will regard the transaction as void . Sales Tax will be charged to all orders shipped to California.